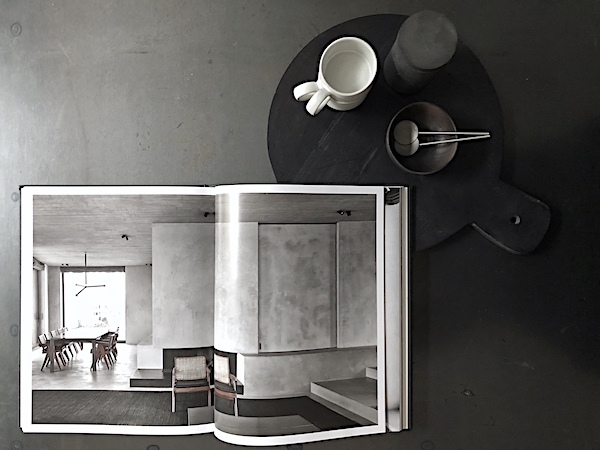 Minimal 'C Penthouse' located in Antwerp, Belgium is designed by Vincent Van Duysen and one of the many projects shown in the second monograph 'Works 2009 - 2018' in the Thames & Hudson series introducing projects from the past 10 years, taken together the two books represent three decades of the works of Vincent van Duysen. 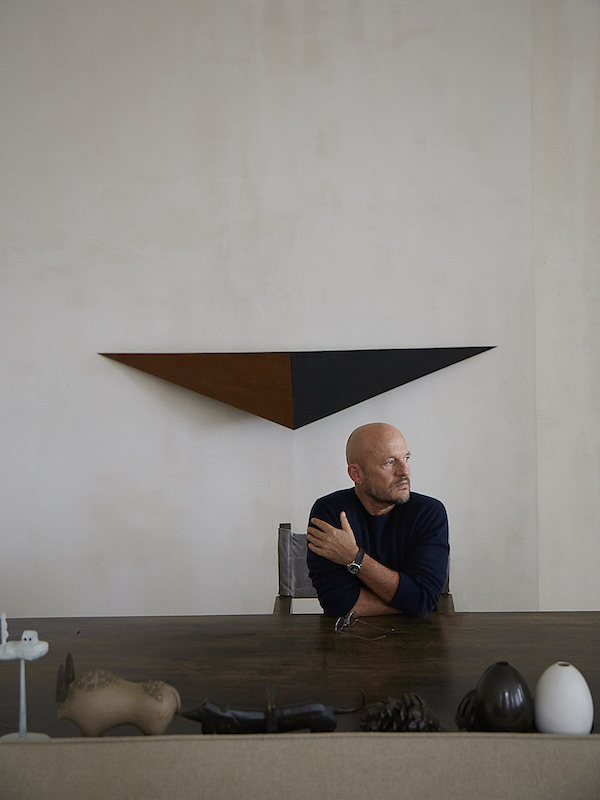 I have seen only one project by Vincent with my own eyes when visiting the apartment at the top floor of Graanmarkt 13 in Antwerp four years ago, I loved walking around in this serene world he created and especially the combination of pure concrete and the use of tactile materials. For me the ability of knowing how to mix materials and working with a subtle colour scheme to create an inviting, comfortable and rich space is what makes someone a great designer for me. In all his projects the close relationship between architecture, interior and product design and the use of pure and tactile materials results in a clear, timeless design where the integrity of the user is at the core in every aspect: context and tradition, the sensual and physical experience of the space, the materials and the lighting. Functionality, durability, and comfort are prime components. This is an architectural language that embraces aesthetics while resisting passing trends and fashion. Thames & Hudson: "Vincent Van Duysen’s architecture is serene, some would even say sublime. Characterised by an intrinsic simplicity and a solid grasp of the architectural essence, it also embraces the technical achievements of Modernism. This involves a silent complexity embodying rich and subtle ambiguities. His final goal is always to improve the quality of the ‘abitare’, the life of those who experience it. The elements of most importance to Van Duysen are form, geometric order, and context — regardless of whether the project is about architecture, interior architecture, or product design. Vincent Van Duysen. Works 2009 - 2018 'illustrates the uncompromising dedication of Van Duysen to the creation of timeless places and spaces. This new edition includes thirty of his most recent works of the past decade. Most of these projects were beautifully portrayed by the renowned photographers Hélène Binet and François Halard. The buildings of the last ten years include a range of elegant homes in Europe, New York, Paris and The Hamptons, as well as large-scale commercial and public projects. In addition, the book also contains product and furniture designs - small-scale witnesses of the architect's meticulous attention to detail - including the interior of an expedition yacht and various objets décoratifs."